Dr. Marianna Evans is a full-time practicing orthodontist, periodontist and dental implant surgeon. She is a diplomate of the American Board of Periodontology and American Board of Orthodontics. Her interdisciplinary training and years of clinical experience allow her to see the interconnectivity of gum disease, malocculsion and skeletal function in a way few specialists can. 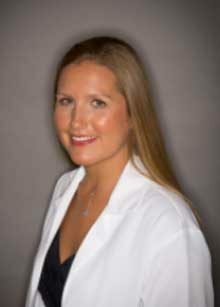 Dr. Evans is a Clinical Associate at the University of Pennsylvania Department of Orthodontics and developed several orthopedic and plastic surgical techniques within her specialties. She frequently lectures on orthodontics, periodontics and dental implants both within the United States and around the world. Locally, Dr. Evans is founder of the OrthoPerio Institute, an advanced education study club that provides courses on developments in dentistry to both clinicians and their staff. Courses are given on all surgical aspects of periodontics, implant dentistry and orthodontics. Unique to the Institute, courses include case study presentations with special emphasis on clinical treatment planning. The focus of her treatment approach is to create harmony between facial beauty and healthy dentition. Her experience shows that the right diagnoses and treatment of malocclusion in young patients can eliminate the need for surgical and restorative intervention in later years, and even the extraction of teeth. Minimally invasive periodontal plastic surgery is the way of the future and Dr. Evans is expert in bone and cosmetic gum grafting. She also specializes in implant therapy, orthopedic palatal expansion, orthodontics for adults and children, diagnosis and management of sleep apnea, congenitally missing and impacted teeth and TMD treatment.